Different sources cite a different level of risk for miscarriage after an amniocentesis. Which one is correct? 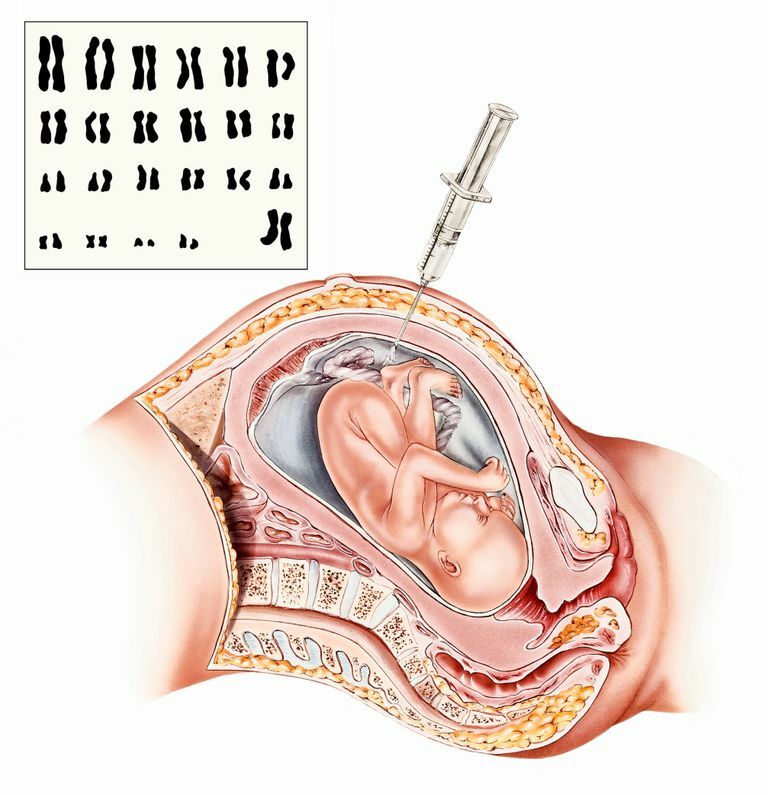 Amniocentesis is a prenatal test usually done between 15 and 20 weeks gestation. It is most often used to test for two primary conditions: chromosomal disorders such as Down syndrome, and neural tube defects, such as spina bifida. Before talking about the risk of miscarriage related to amniocentesis it's important to discuss how this is studied. The risk of miscarriage after an amniocentesis does not mean that all miscarriages which occur after an amniocentesis were caused by the procedure. In other words, there is the chance that a miscarriage would have occurred even if the procedure had not been done. Therefore, in studies it's important to look at how common miscarriage is at any particular stage of pregnancy and subtract that number from the number of miscarriages that are found to occur, on average, in a pregnancy in which an amniocentesis is not performed. In addition, women who choose to have an amniocentesis—for example, those of a higher maternal age or who have had a positive screening test for abnormalities—may have an increased risk of miscarriage even without an amniocentesis procedure. It is very important to discuss your personal risk of miscarriage (and other risks of amniocentesis mentioned below) with your doctor. This can be a difficult decision to make as you consider having the test as a way to help ensure a healthy pregnancy at the same time the test carries risks to your pregnancy in itself. We often look to statistics to help people understand theoretical risks, but women aren't statistics. There are some women, based on a number of factors who are more likely than others to have a miscarriage after an amniocentesis, just as the risk of miscarriage without an amniocentesis varies widely. Keep this in mind as you look at the numbers below. The true rate may be even lower. A 2015 study looked at over 42,000 women who had an amniocentesis performed prior to 24 weeks gestation. In this study the risk of miscarriage before 24 weeks was 0.81 percent in those who had an amniocentesis and 0.67 percent in a control group of women who did not have amniocentesis, suggesting that the overall risk was around 0.14 percent or around 1 in 700 women.. When Does a Miscarriage Related to Amniocentesis Usually Occur? Most miscarriages related to an amniocentesis occur in the first three days following the procedure. That said, late miscarriages due to the procedure have occurred up to a few weeks after the test is done. How Can an Amniocentesis Cause a Miscarriage? It's not known for certain what contributes to miscarriage risk after an amniocentesis. Possible causes include damage to the amniotic membranes causing the loss of amniotic fluid, infection, or bleeding. Timing of an amniocentesis is one factor that is associated with differences in miscarriage. It's thought that amniocentesis prior to 15 weeks gestation carries a greater risk of miscarriage than second trimester amniocentesis procedures. The skill of the practitioner may also play a role. In general, medical centers which perform greater numbers of a particular procedure tend to have fewer complications. It has been found that the quality of the sample that is retrieved during an amniocentesis is better when performed by an experienced physician. Before having an amniocentesis it's important to be aware that—even though the risk of miscarriage is much lower—at least one to two percent of women will have symptoms of a threatened miscarriage, such as cramping, spotting, or leaking of amniotic fluid. These symptoms can be very frightening, but thankfully, often turn out to be otherwise meaningless. The truth is, the real miscarriage risk of amniocentesis is still uncertain. If you're considering amniocentesis for any reason and you are worried about the risk, it's important to ask your practitioner any questions that may be on your mind. Deciding whether to have an amniocentesis is a very personal decision. Talking with a genetic counselor can be extremely helpful, not just to help you understand the risks of the prenatal testing procedures we have available, but to help you consider what you would do given the possibility of abnormal results. A good genetic counselor can help you wade through a list of questions you should consider regarding genetic testing, and the possible risks and benefits to you and your child specifically rather than statistics. Akolekar, R., Beta, J., Piccirelli, G., Ogilvie, C., and F. D’Antonio. Procedure-Related Risk of Miscarriage Following Amniocentesis and Chorionic Villus Sampling: A Systematic Review and Meta-Analysis. Ultrasound in Obstetrics and Gynecology. 2015. 45(1):16-26. Ghidini, A., Patient education: Amniocentesis (Beyond the Basics). UpToDate. Updated 06/22/15. Van den Veyver, I. Recent Advances in Prenatal Genetic Screening and Testing. F1000Research. 2016. 5:2591.